T he internet has so much content that it'd take tens of thousands of years to see it all. This information has to be physically stored somewhere, just like your music and photos need to be stored on your personal computer at home. So, where is the internet stored? Today, almost all of the internet's content is stored on special computers called servers. These computers don't have monitors, or keyboards, or anything that you might see on a typical desktop computer. These computers are specifically designed to allow a lot of different people to access a ton of information all at the same time. Effectively, these servers are designed to host the world wide web. Years of experience of our company, professionals, and technical capabilities allow us to argue that the choice of us as a provider of web hosting is the right solution. Guarantee a high level of reliability and good performance of your website. Selecting the most suitable tariff without unnecessary overpayments. We care about the safety of your data, so do daily backups. The convenient control panel interface simplifies and speeds up your work with hosting. 1What do the allocated resources for each offer correspond to? The "power" of a hosting system can be defined simply by the processor (Core CPU) and the RAM of the machine (server) that serve as the platform. 2How can I tell how much resources my hosting system is using? We will soon be developing and integrating a monitoring tool in the OVH Web Control Panel to keep track of the resources consumed by your hosting system. You will thus be able to see whether your plan suits your requirements. 3What's the difference between a web hosting, a dedicated server and a cloud service? A web hosting service means that the customer does not have to worry about the platform (or architecture) that their website is stored on. As it's a shared platform, the management tools are also shared, which means they're easy for newbies to use as they have been designed to be used by all. 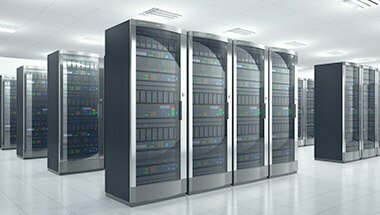 Dedicated servers imply that the customer also manages the machine, which is theirs, offering more freedom in terms of resource usage and configuration. However, this means having to manage more settings and anticipating the possible impact on your website. The cloud is based on the principle of a virtualized platform and/or resources allocated to your website. It provides increased flexibility in terms of your configuration, which generally is customised according to your requirements when virtualized. The management and customisation features are largely derived from dedicated servers and are thus more sophisticated.